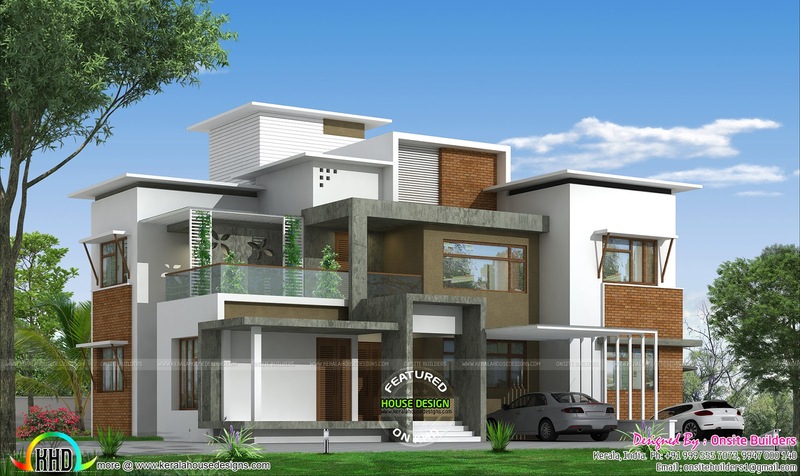 4 bedroom attached box type house plan in an area of 3000 Square Feet (279 Square Meter) (333 Square Yards) 4 bedroom decorative style luxury home architecture. Designed by Onsite Builders, Kerala. Ground floor - 2100 Sq.Ft. First floor - 900 Sq.Ft. 0 comments on "4 BHK box type modern home"